Last week I sent out 10,000 emails informing customers that an update was available for Airport Madness 3D. I suppose I shouldn’t have been surprised when I received over 1000 responses asking, “How do I download the update?”. Game updates have always been a great struggle for me. Back in 2010 when Flash was still considered cool and cutting-edge, I invented an in-game update system that actually downloaded and installed updates for you. All by itself. It was one of the coolest things I ever coded. Too bad the system failed for so many users. I switched to email notification. Everybody would get an email, letting them know that an update was available. And in theory, everybody would have still had the original download link that they purchased, and could easily download updates from it. However, that is not the way the world works. 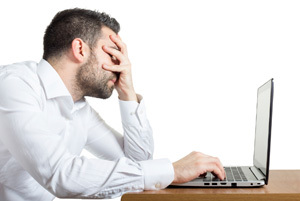 People lose emails, and sometimes delete them. I’ve had a great number of people tell me that their link no longer works (something I’m investigating with our commerce provider, FastSpring). What I intend to do next is add an in-game notification system that lets users know when an update is available, and gives them a button that links them to the download file. I think this system will work quite well, and it will be added to the next update, version 1.11. I will however, need to send out one last email notification, letting users know when update 1.11 is available. I sincerely appreciate the patience of all my customers with these updates. Hey, at least they are free! So, I’m wondering if this is something that I could add to Airport Madness 3D. 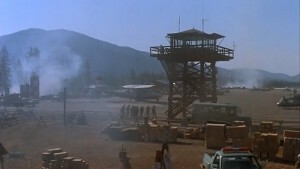 An aerial firefighting base. I looked at Libby Airport, but since I can’t determine if they even use this field for firefighting, I decided to go with an airport that I am familiar with. Like I’ve said many times, Airport Madness needs conflict points in order to be fun, and this usually means having at least two runways. However, exceptions can be made. I think a great airport for an Airport Madness firefighting operation would be Castlegar, BC. It’s not primarily a tanker base, but as you can see in the photos above, it does get to host such operations from time to time. 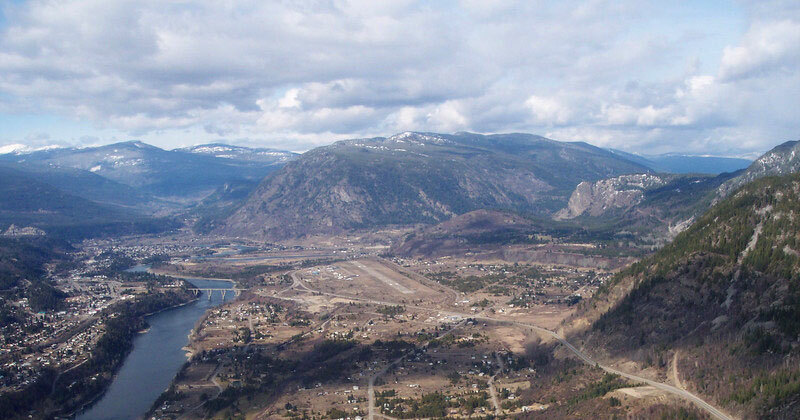 Castlegar is also very special to me personally, as I used to fly Navajos out of there many years ago. It’s mountain scenery is absolutely breathtaking, and I feel that a game level such as this one needs mountains. As usual, I may need to to bend the truth a little, to maintain an appropriate balance between fun versus real. Will there be an actual fire? You can count on it. The west ridge will be engulfed in flames, which will advance towards the city if left unattended, and retreat if the player moves tankers quickly. 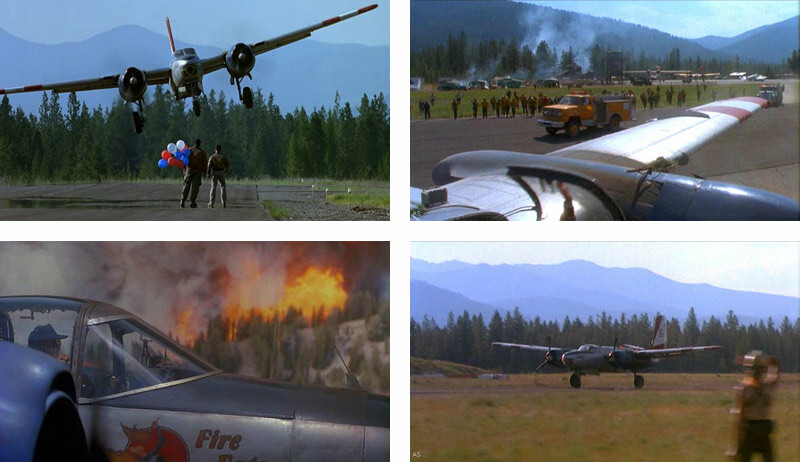 After takeoff, tankers will drop their load of retardant over the fire, then return to the field for reloading. The fire action will be interspersed by arriving DH8C’s and B737’s. This looks like it will be fun, and challenging, to put together for you. I hope to deliver this mid-October. As always, updates to Airport Madness 3D are free. I always prepare myself for trouble whenever I release a game, or an update for a game. Yesterday, I released update 1.10 for Airport Madness 3D, a substantial update that added an airport and 7 new aircraft. Immediately after doing so, the emails started pouring in. Where is the iOS version? Where is the Android version? How come we have to wait?? If I really wanted to, I could better time the releases so that they would simultaneously arrive to all platforms. I’m sure that’s what Electronic Arts does. Being a little guy, I need to budget my time and workload very carefully. It would not make sense to attempt this, as there are inevitably going to be problems with the game that somehow got overlooked. This happened yesterday, in fact. I released an update on Steam, and not 10 minutes later I received complaints of two substantial game bugs. Now, if I had released across all platforms (PC, Mac, Steam, iTunes, Google Play, Amazon and Mac App Store), I would have had several days of work ahead of me. However, by releasing the update only on Steam, I was able to test the waters with a ‘soft launch’, fix the critical bugs, then move on to all other platforms. Steam has an excellent community. The culture on Steam is to report problems on the forum pages. If there’s a problem with a game, you can rest assured it will get talked about. When there is a problem with the PC/Mac direct download version from this website, I usually get an angry email, and sometimes a demand for a refund. It’s easier to upload games to Steam. With Steam’s content upload system, called Steampipe, I can upload game changes in just seconds, directly from the terminal window on my computer. I don’t have to wait for anyone to approve the update. I click publish, and the changes appear online, automatically updating all users. PC/Mac users pay more than mobile users do. Because I would be crucified for charging $14.99 on any mobile app store, I need to offer a slightly more competitive price tag, like $8.99. This is fair because the PC/Mac version has more features, better performance, higher definition graphics, and more immersive game play with a mouse. I also like to think getting updates first is another big perk for PC/Mac users. Airport Madness 3D now has five airports and 15 different aircraft types. 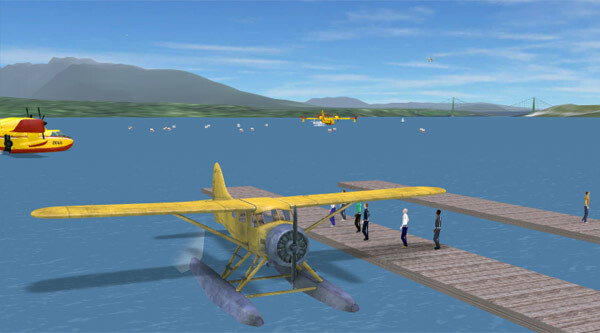 We’ve added Vancouver Harbour’s float plane base, plus seven new aircraft including the Concorde! We’ve fixed some minor bugs, including the “random explosions” of aircraft. 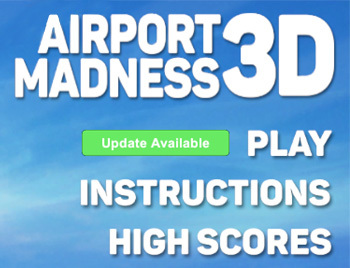 If you haven’t yet purchased Airport Madness 3D, grab it here! Buy risk-free with our 60-day refund policy. Those of you who have purchased this already can update their version by simply downloading the game again from the original link you received after purchase. If you can’t find your link, or you require assistance, don’t hesitate to email me at support@bigfatsimulations.com.